I can&apos;t wait for the first day of school tomorrow! I hope I meet some new friends! Wait....new friends, what about my old friend that always had my back and was always there for me. I hope I meet some people just like them. "Jayu! Wake up! It&apos;s time for breakfast!" Mom said happily. But why barge in my room? what am I saying? I got up from my bed and did my morning routine. "Jayu, what&apos;s going on up there?" Mom said. "Nothing." I said as I put on my uniform. The colors were so beautiful. My shirt was white with a sky blue sweater with a black tie and with a beige skirt. Now I did my hair. My hair was in a pony tail with a white bow on it. The shoes I&apos;m wearing are white converse. Now I went downstairs. I only live with my mom because my dad moved away. 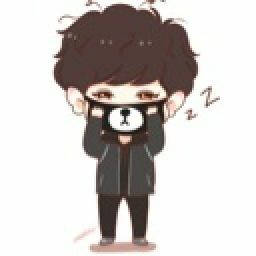 I just live in Busan, Korea but I wanna go to Seoul and meet exo one day. "Ok eomma, I&apos;m finshed." I said happily. "Eomma, are u kidding me? Of course I look beautiful." I said we was having our little convo in the kitchen. "Alright, you should go to school now. Remember, focus on your studies." my mom explained. "Yes mom. I know." I said and I kissed my mom on the cheek and left. The bus door opened and stares started to start. i know that it&apos;s the first day of school but really? Stares are that necessary for you? I don&apos;t think so. I sat next to a guy with nice blonde hair. He looked really cute. Now I started to stare..... AT HIM!! "Ummm.... are u ok?" He said. His voice is soo soft and nice. "U-uh yea, of course. Can I-I ask you a question?" I said. I got so nervous because...... I don&apos;t really kno why. "Is this a staring school?" I asked and suddenly he started to laugh. Omg his laugh is sounds so nice too. WHAT CANNOT BE WRONG WITH THIS GUY?? "No? This is the-" he said but I cut him off. "Yea. I know wat school this is. I was just asking because a lot of people love to stare on this bus." I started to laugh too and we both laughed together. "You&apos;re really cute. what&apos;s your name and maybe we can exchange numbers." He said. And I blushed a little. "Aww thanks. I think you are too." ( why did I say that?) and we exchanged numbers. " oh, my name is Jayu". "Nice to meet you too." I said. I have my schedule and went to my first period class and it was math. we started to do our introducing stuff and like that and suddenly these 2 girls came up to me. They seem like they were best friends since they were kids. "Hi. My name is Hwa Young and this is my friend Mik soon." She said. They seem like really nice people. They remind me of my friends. "Hi. My name is Jayu and it&apos;s nice to meet you both." I said with a nice smile. "So, can the 3 of us be friends?" Hwa young said. "Ok. it&apos;s official." Mik soon said. "Ok. u guys can just call me Jayu". I said. "Eomma! I&apos;m home!" I yelled. "Honey! How was your day? " She said. "It was good. I met 3 people today. it was this boy named minsyuk. And 2 girls named Hwa young and Mik soon. They&apos;re best friends and I&apos;m there friends now. "Oh that&apos;s great!" She said. she looked kind of sad. "Eomma, what&apos;s wrong?" I said. I was a bit curious. "Why?" I said I was getting a bit confused. "Yes you c-" she cut me off. "No I can&apos;t. it will be in a couple of months till I come back." she explained. "But what about my school? Friends I just met? Where is the location?" I asked. "Your aunt lives in Seoul and I have to drive you there before I go. So pack up because tommorrow is your last day." "Is she your sister?" I asked. "Yes. and don&apos;t worry, she has 12 sons living with her and they are going to be your brothers for now on." she explained. 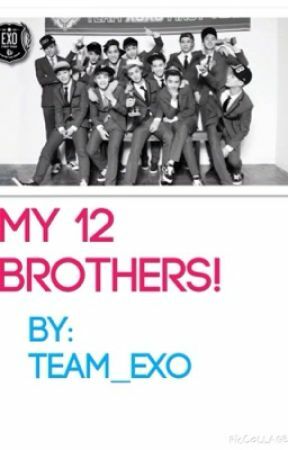 "12 sons???! What was she doing the past years? I asked. Stay tuned for CHAPTER 2!!! Is this good so far??? I think so.